We decided way before Ethan arrives that we are going to babywear him. I did lots of research of the many different types of baby carriers and its link to hip dysplasia, as well as the many many benefits that come from babywearing my baby. We have been wearing Ethan everywhere every time we go out with him. 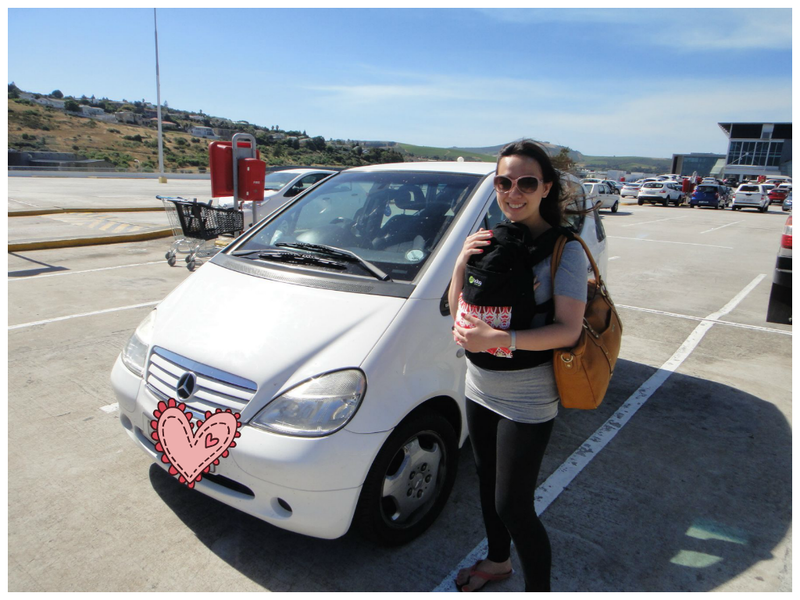 It would have been so difficult to carry an infant car seat (Only my hubby can manage that weight) or struggling with a bulky travel system while maneuvering the shopping trolley while doing our groceries. The Boba 3G Carrier arrived in a neat and compact box, with a window by the side showing the chosen design of the carrier. This is the carrier and its instruction manual on how to do different carries, all carefully folded in the box. Upon opening the box, it revealed the vibrant red colour (design Soho) that I chose. I love the fact that the pattern and colour is very gender neutral and stylish, ready to be worn by both mommy as well as daddy. You got to love a Daddy wearing his baby. I must say he is getting a lot of attention while he is carrying our little one, and he loves the fact that he doesn't look silly in this Boba carrier! 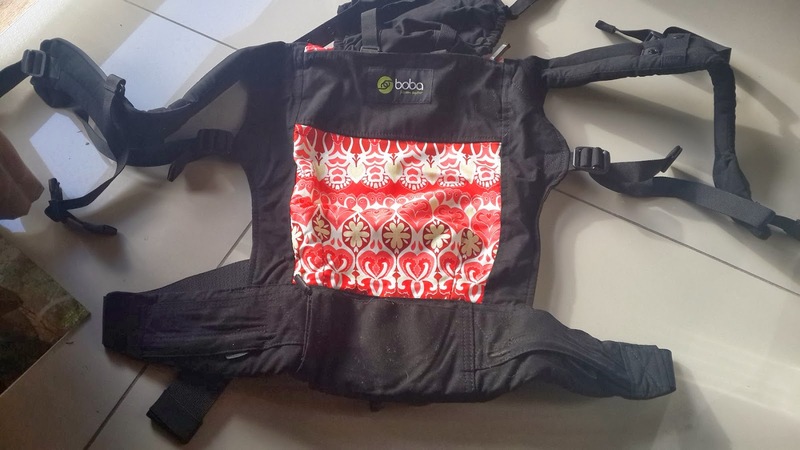 This carrier is intended for children between 3.5kg - 20kg. 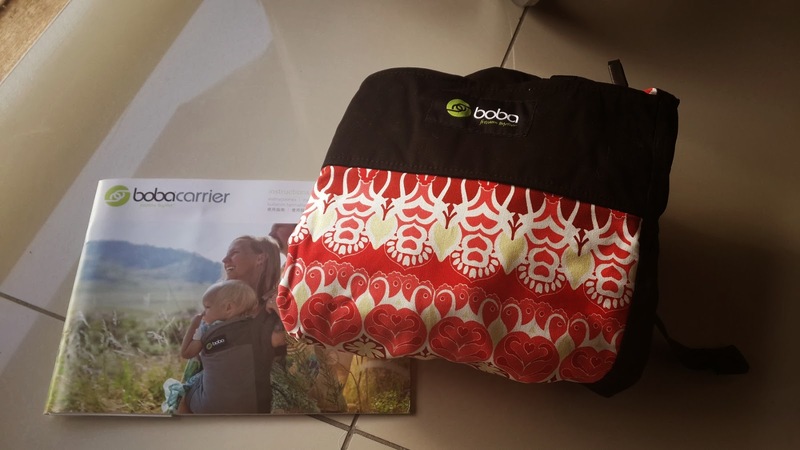 Unlike most other soft structured carriers on the market, you will not need an additional infant insert when using the Boba 3G carrier. To convert this carrier for newborn of 3.5-5kg, you can try the Newborn Hold. The carrier has extra head support compared to other carriers I have tried. We started Ethan when he was around 4kg at 2 weeks old and it feels snug and comfortable without any need for extra support. P/S - Always make sure that baby's legs should be in frog position to promote healthy hip positioning. Ethan's legs were, and still are too short to hang out from the carrier, but we make sure that it is always in froggy position - bottom down, knees up! The Boba 3G has a hood that snaps into place over baby's head. When not in use, you can either store the hood in the top zipper pocket, or unsnap it from the pocket and store in another location. The hood comes in handy to cover Ethan from the sun instead of having to wear a hat or cloth over his head. I kept the sides loose so that while protecting him, I still allow wind to keep him cool in this warm summer weather. It is also versatile that I can even use it to protect Ethan from Cape Town's infamous wind by tightening the hood on the sides. I think this feature deserves a mention although I wasn't able to test it yet with baby still being so small. This feature is really unique as I do not know of any other soft structured carriers with this ability. It allows tired little legs to be rested in a frog-like position, aligning the spine. These straps are also adjustable as it fits your child as he grows. Below a photo of how it looks like, sourced from the internet. The 3 zippered pockets come in handy to keep car keys, license or credit cards when I quickly want to pop into a store. I also always keep a handkerchief in one of its pockets. It is very, very handy to have instead of rumaging through your purse / diaper bag. For a small sized person like me, I always hate to find the excess straps after tightening to fit me hanging or dangling on me. Boba 3G ;s design is so well thought that it has elastic bands to store the extra slack of the waistband, chest and shoulder straps. I just need to neatly roll the excess strap and loop the elastic around it. There is also an adjustment to tighten or loosen the shoulder straps which is perfect for breastfeeding moms. Unlike other carriers, the Boba 3G puts adjusters on the waist belt so that you can tighten from the left or the right or both. This results in a waist belt buckle that is centered on your waist rather than off to one side. There are similar options when adjusting the arms and the chest buckle. They are very, very convenient to self-adjust. This may be my favourite feature of the carrier. The strap holders are located on both sides of the carrier. 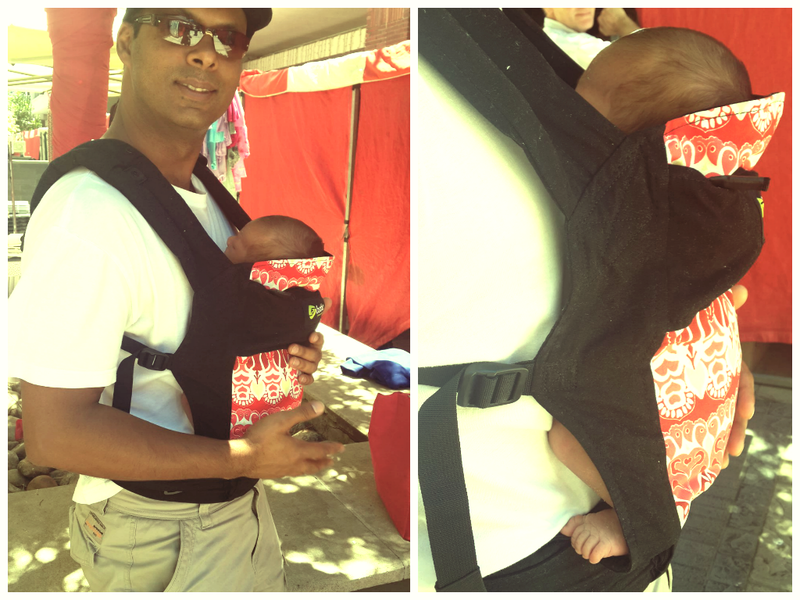 It allows me to attach my diaper bag directly to the carrier, so I can truly be hands-free! I absolutely love this feature as it takes the load off my shoulders from having to lift my shoulder to accomodate the heavy weight of my diaper bag. You can basically fit anything with a strap to keep it in place. Let your imagination go wild! Purse , keys, pacifier, toys, to name a few! However I did see from Boba's website that there is a Stuff Sack for sale to hold and protect your carrier when not in use. I have yet to see or try it but I am sure it will certainly look better than what I am using currently and should be a better fit. The other accessory that would also complements the carrier well is the Teething Pads as I already noticed Ethan wetting the straps of the carrier already. The downside I wasn't too happy about is that the black material attracts a lot of lint. I had to wipe it with a wet cloth frequently so it looks like new again. Although, it might be the clothes I wear as my sister who also had a Boba 3G does not seem to have not problem :-( If you are afraid it would happen, maybe choosing another colour like grey also helps! 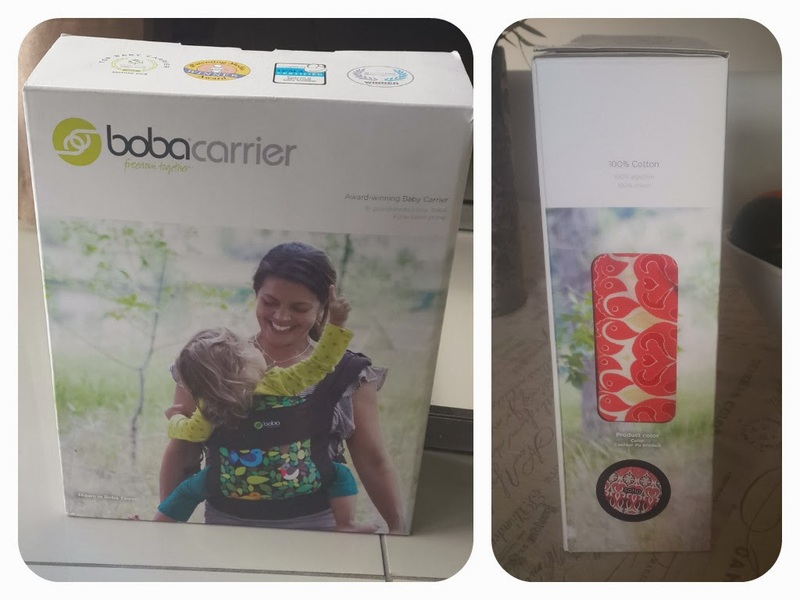 You can get your own Boba Carrier at http://www.bobafamily.co.za , or better still, try your luck and win a Boba Carrier 3G worth R1350 here! Share the lovely giveaway on your Facebook / Twitter, with friends, or anyone you know that would appreciate the carrier. Leave a comment in this blog post and let me know what you did! (You will be disqualified if not meeting the comment). 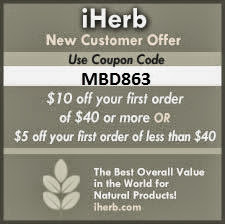 Please don't forget your email address! Giveaway ends on 14 February 2014, 12:00am South African time. Open to South Africa residents only. The winner will be chosen randomly (www.random.org) and will be posted in this post and will be contacted via email. If no reply from the winner within 48 hours, a new winner will be announced. ** Please note that I received no form of monetary compensation for this post. I did receive the product to try in order to write a fair and honest review. The opinions expressed in this review are my own and was not required to provide a positive review of the carrier. Thank you to all who participated in this giveaway. 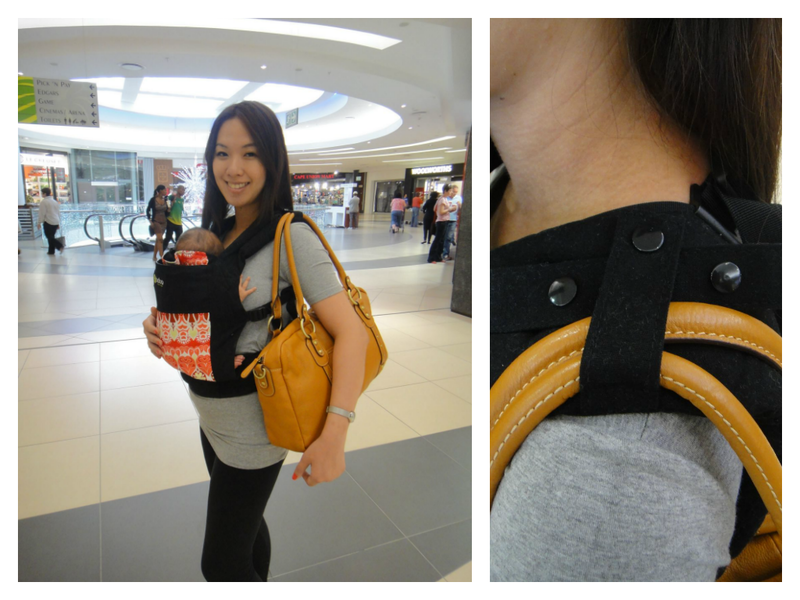 The winner of the Boba Carrier 3G is Michelle Austin! Congratulations! You should have received an email from me on how to collect the prize. I liked the Facebook pages as well as followed on Twitter. Also shared the giveaway on my Facebook page! Liked and shared! Would LOVE to win this amazing carrier!! Awesome prize!!! I've liked both pages and shared the competition! Liked both facebook pages and shared on facebook. 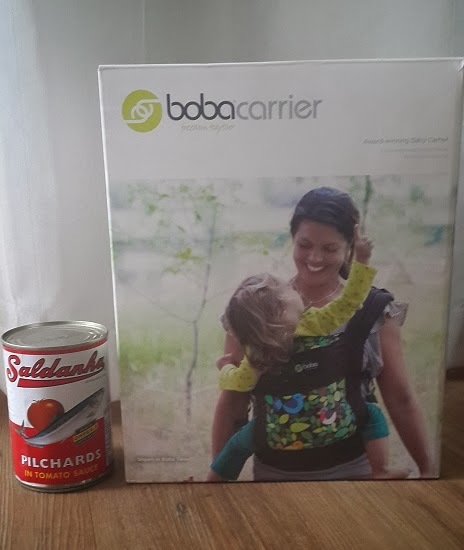 I've been curious about how the Boba works with a small baby - from your pics it seems to be a great fit! Liked & shared this post and hope to win one to try it for myself with baby nr 2 due in April. What a great carrier, would love to have one of these!! Holding thumbs!!! nadia@monopixel.co.za. I liked both pages & followed you on Twitter. What a fantastic product, love the foot supports and the bag straps, so clever!! So glad we are getting with the times in SA! I've liked and shared. Thanks so much for the review!! O and to add, I dont have a car so have to walk everywhere with my 2 kids, something like this will make my life so much easier with her brother in the pram!